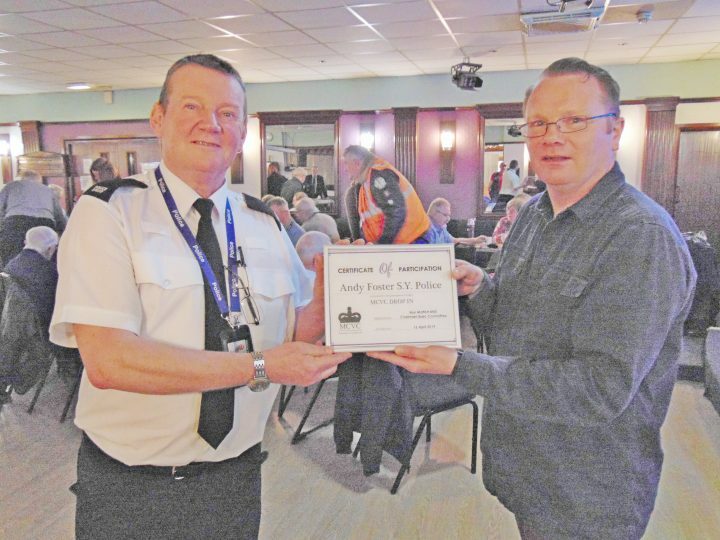 Andy Foster getting a certificate of participation from Chris Watson from the MCVC. 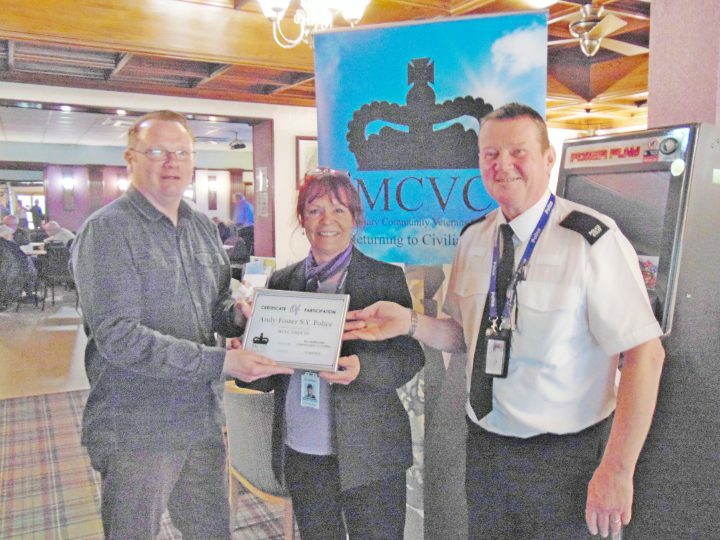 What a fantastic presentation from Andy Foster at Fridays MCVC coffee morning,I’m sure everyone took some valuable information on how to combat fraud and scams away with them I know I did. I even had a scam PPI call while I was there on Friday before Andy started the number was passed on to Andy after the presentation lets hope it is of some use in getting these calls stopped for everyone.